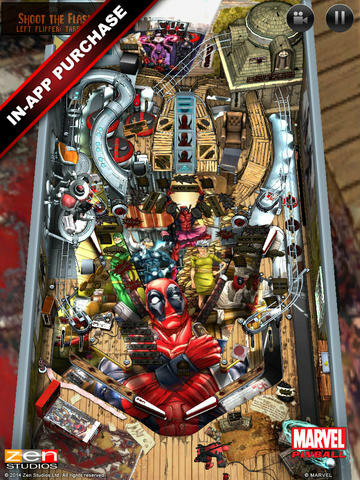 Zen Studios has just launched another new pinball table, this time featuring MARVEL’s Deadpool. This latest addition to Zen’s lineup is sure to delight Deadpool fans. You can purchase the table for $1.99 from with either the Zen Pinball or Marvel Pinball apps. Just remember tables purchased within one app are NOT available within the other, so only purchase it within one or the other. To celebrate the launch, Zen has also released a video of a behind-the-scenes discussion with the actor who voices Deadpool, Nolan North.